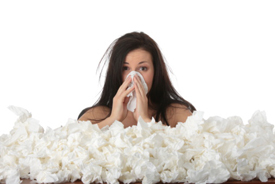 Get Your Flu Adjustment with Christina Angelos, D.C.
It’s that time of year again and flu season is here. While many are out getting flu shots, we encourage you to stop in here to give your body a natural boost of health! Regular chiropractic care can boost your immunity and help you experience less sick days. Your nervous system controls your immune system and every other system in your body. By getting adjustments, you optimize your body’s function, which in turn, optimizes your immune system. This way you can move and feel as great as you should, no matter what the time of year!